Author: Mario Gutierrez is Executive Director of the Center for Connected Health Policy (www.cchpca.org), the federally funded, National Telehealth Policy Resource Center. He can be reached at mariog[at]cchpca.org. Only a fool would try and predict what we can expect to see in health care policy and legislation in the coming year with the incoming Trump administration and Congress. However, when it comes to telehealth, I believe there are some strong signals that there may be some real movement in this arena in the coming months. Already we’ve seen Congress enact two important pieces of legislation in the lame duck session related to connected care, and I believe that these serve as a bellwether of more to come. It was very encouraging, for example, that after years of contentious negotiation, Congress passed the 21st Century CURES Act. This Bill, remarkably states that ”any expansion of telehealth services under the Medicare Program should recognize that telemedicine is the delivery of safe, effective, quality health care services, by a healthcare provider, using technology as the mode (emphasis added) of care delivery”. It also calls for CMS (Centers for Medicare & Medicaid Services) to provide Congress with a detailed report related to telehealth within the Medicare Program; promising changes in payment policy rates and provisions. Also passed by unanimous vote of Congress was the Expanding Capacity for Health Outcomes (ECHO) Act. This bill places University of New Mexico’s five-year-old groundbreaking Project ECHO on a national stage. This project sets the wheels in motion for a national network of hub-and-spoke telemedicine platforms to provide education, training and collaboration opportunities for healthcare providers in hard-to-reach areas. Granted, this is not the first time that Congress has kicked the can down the road with requests for studies as opposed to real action. 2017 promises action with several new bills and stakeholders. I believe one of the largest contributors next year will be Dr. Tom Price and his alignment of bipartisan leadership in Congress. The 2017 Congress clearly has the will and desire to accomplish tasks related to telehealth and Medicare. And that combined with Tom Price’s strong relationship with CMS as well as the AMA looks promising for the healthcare industry. I predict this wave of momentum will bring additional telehealth policy reforms in the coming year. 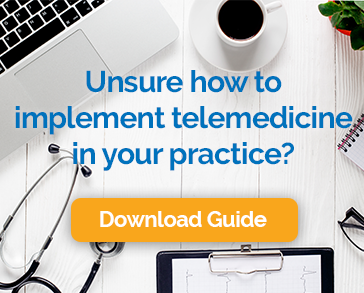 In addition to an exciting number of key players in the House and Senate, several new bills have been introduced to dramatically improve and expand the use of telemedicine. On December 6th, 2016, a new bill was introduced to improve the Chronic (CHRONIC) Care Act. Bill S. 3504 includes provisions for the expanded use of telehealth in ACOs (accountable care organizations), Medicare Advantage, and for treating strokes. It would also improve care coordination in ACOs and allow Medicare Advantage to tailor benefits to beneficiaries with chronic diseases. Also ready to be reintroduced is the CONNECT for Health Act (S. 2484) by Senator Schatz, which calls for the removal of significant restrictions in the use of telehealth in Medicare and Medicare Advantage Plans. And, now with Congressman Tom Price, (R-GA), the “telehealth friendly” nominee to be head of HHS, I along with other telehealth advocates in the country believe that 2017 may be the year that the federal government finally joins the rest of the world in embracing the benefits of connected care. Telemedicine in 2017 is positioned to meet the growing healthcare needs of our population by improving access & quality of care and responding to the needs of a consumer driven market.